Like 910PU but in Hi-Vis. 914PU should be a given in every professional car. 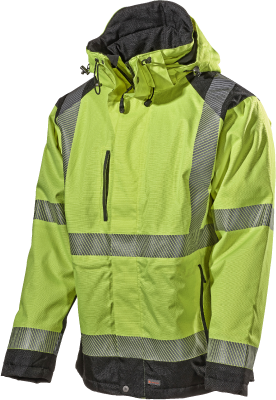 A proper raincoat developed for those who work outdoors in the rain. 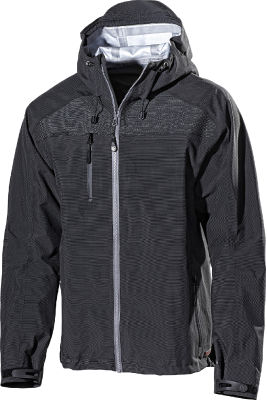 The stretch fabric in PU is not only water-resistant but also provides good flexibility. The inside is peached to handle the body moisture and to protect against cold winds there is a high collar. 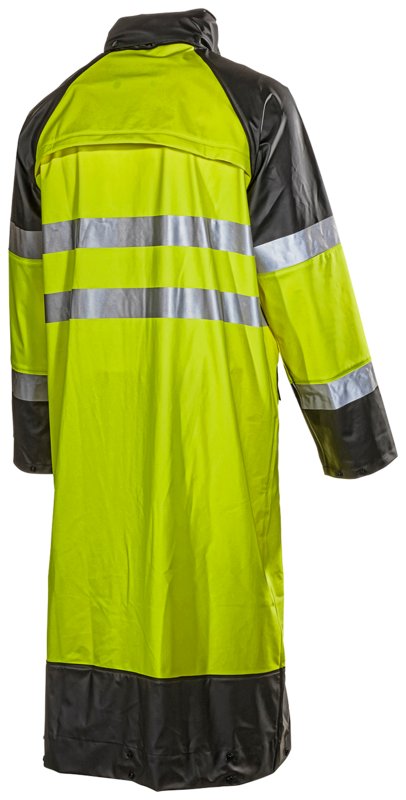 The two-way zipper makes it easy to access, for example, the tool belt while also protecting the same belt against wetness. Hood in the collar. Napped polyester jersey for a dry feeling. Buttoning at the bottom creates a drip edge to keep your legs dry. The reflectors are pliable and provide some stretch. Length 125 cm (size L). Two side pockets with flaps with ID pocket under the right flap.